Gov. Bill Haslam welcomes the grand opening of the new science building at MTSU on Oct. 15. Photo by Bing-Nan Li. NASHVILLE, Tenn. (AP) — Republican Gov. 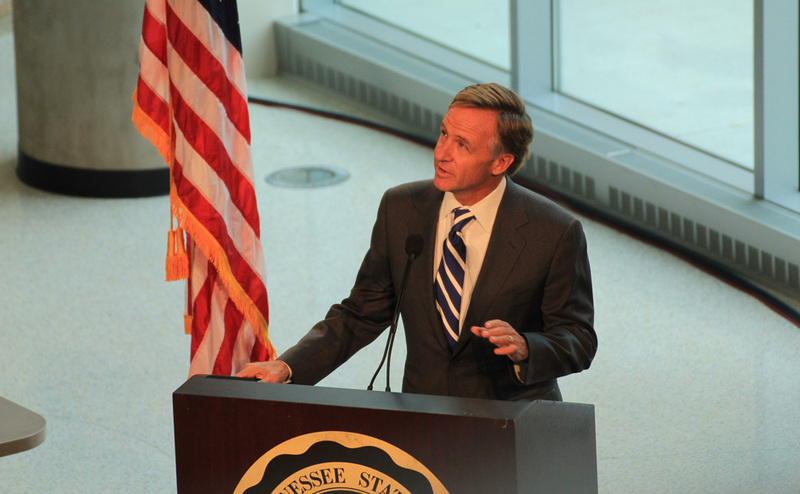 Bill Haslam in his annual State of the State address proposed what he called Tennessee’s largest investment in public education without a tax increase in the state’s history. Haslam’s $34.8 billion spending plan also provides new spending on colleges and universities, road projects and another large deposit into Tennessee’s emergency budget reserves. “Our commitment to education continues in a big way tonight,” Haslam told the joint session of the General Assembly gathered in the House chamber. The governor’s plan calls for $261 million in new funding for K-12 education, including $105 million to pay for teacher raises that are part of Haslam’s efforts to make Tennessee the fastest-improving state in the nation in terms of teacher salaries. While the governor took a victory lap on his administration’s accomplishments inside the chamber, protesters outside sang and chanted about the failure Haslam’s proposal last year to expand Medicaid in Tennessee. Haslam did not mention his Insure Tennessee proposal to extend health coverage to 280,000 people during his 38-minute speech, and has said he won’t seek to revisit the issue until after this year’s presidential election. 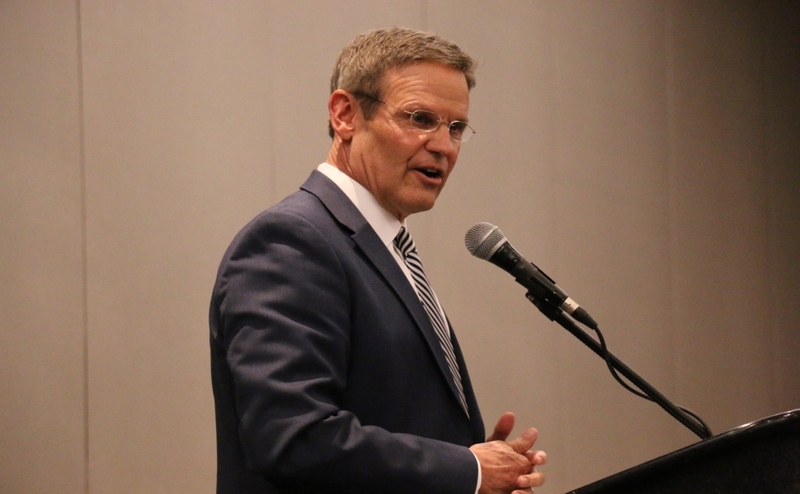 The governor credited his fiscally conservative spending priorities for putting the state in a strong budget position. Lawmakers applauded when Haslam noted that Tennessee has the lowest debt per capita in the country and that the state is amid the second-longest period of not raising its sales tax. At the same time, Tennessee has cut the sales tax on groceries, eliminated the estate and gift taxes and reduced the Hall tax on earnings from stocks and bonds for senior citizens. 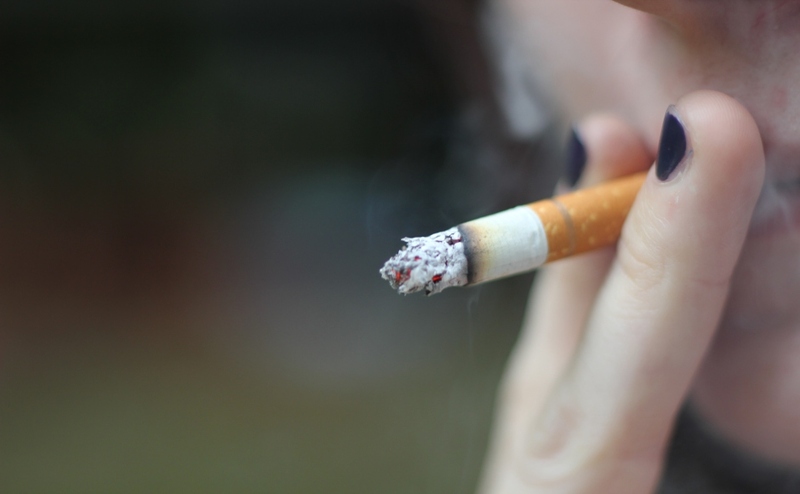 Meanwhile, Haslam proposed placing $100 million into budget reserves that would bring the state’s rainy day fund to $668 million, its second-highest level on record. Haslam’s budget proposal does not include money for some legislative priorities like a new building for the state library and archives or a deeper cut in the Hall income tax. But it also doesn’t incorporate his controversial efforts to outsource more state-owned buildings. 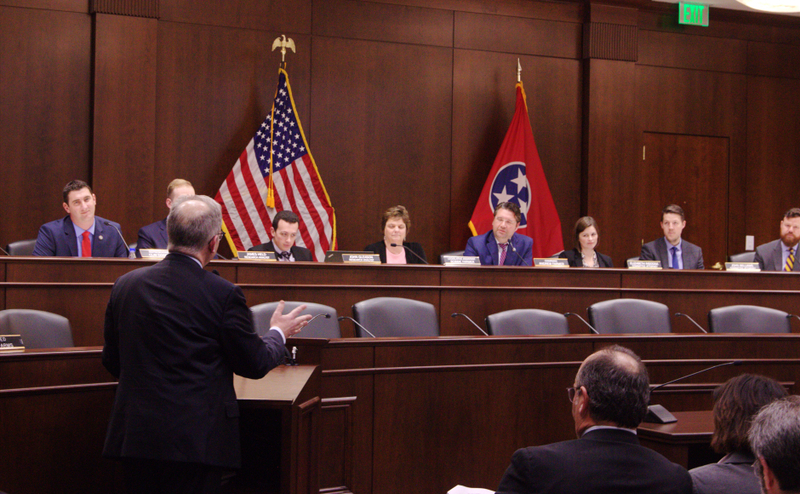 Haslam urged an “all hands on deck approach” toward improving graduation rates in Tennessee, pushing to give four-year schools in the Tennessee Board of Regents more autonomy while refocusing attention on two-year community and technical colleges. Haslam proposed to transfer $130 million from the general fund to pay for highway projects and maintenance. That’s about half of the amount diverted from the highway fund to help bridge budget gaps about a decade ago. While Haslam warned that nobody should “fool themselves into thinking that this comes close to solving our transportation funding issue,” he has put off proposing a gas tax increase for the first time since 1989. Haslam choked up while memorializing the sailor and four Marines who were killed in a shooting rampage in Chattanooga last summer. 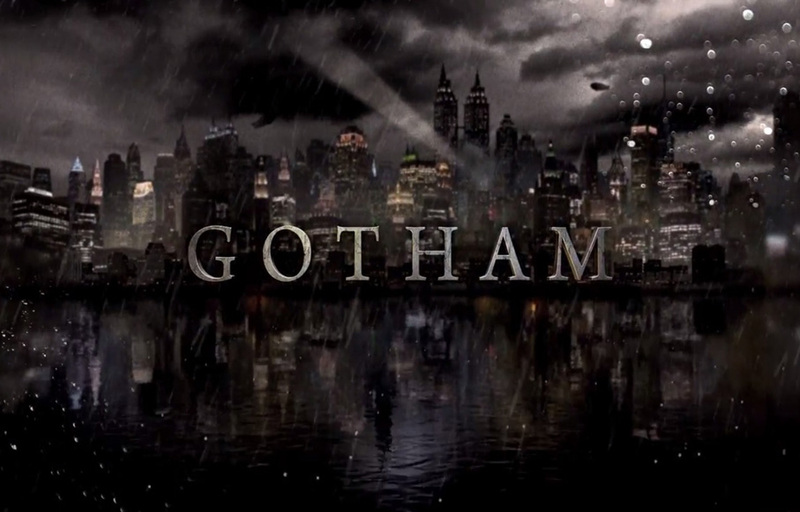 The Villains are Rising: Are you ready for more ‘Gotham’?